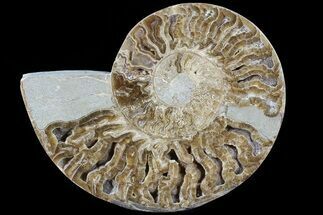 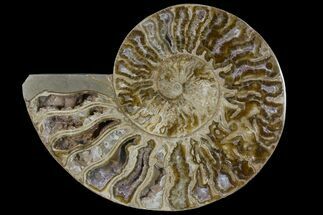 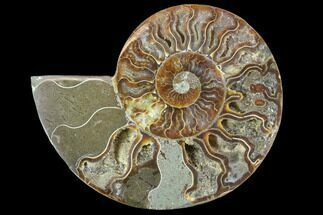 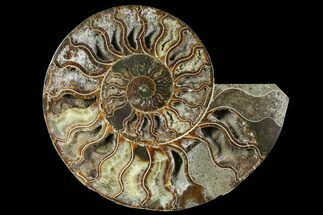 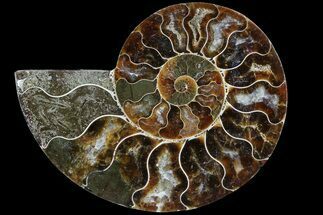 Here is a unusually colored, cut and polished Cleoniceras ammonite fossil half from the Mahajanga Province, Madagascar. 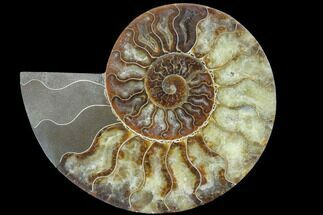 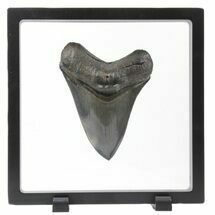 It's Early Cretaceous (Albian Stage) in age, or approximately 110 million years old. 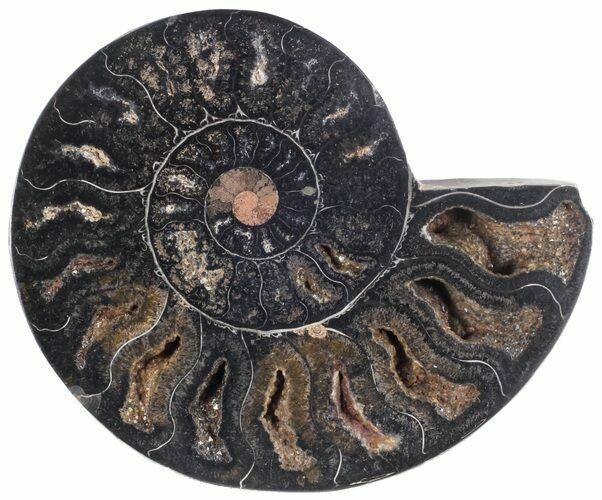 This ammonite half comes with an acrylic display stand.. 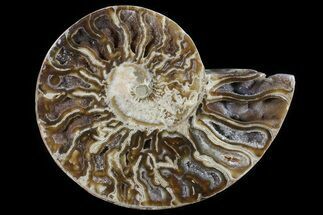 The dark, black/orange coloration is quite unusual as the majority of these ammonites are brown/yellow. 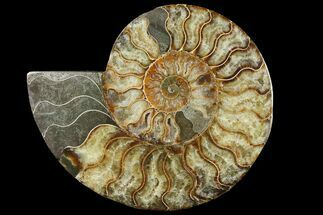 These have been collected from a different location and the difference in coloration would be due to changes to the rock within the earth after the ammonite was fossilized, probably due to the addition of Manganese. 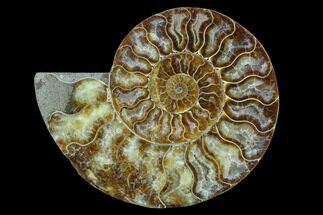 You'll notice some of the attached matrix on the back side is a deep orange color instead of the typical grey from the other locality further hinting at these changes.